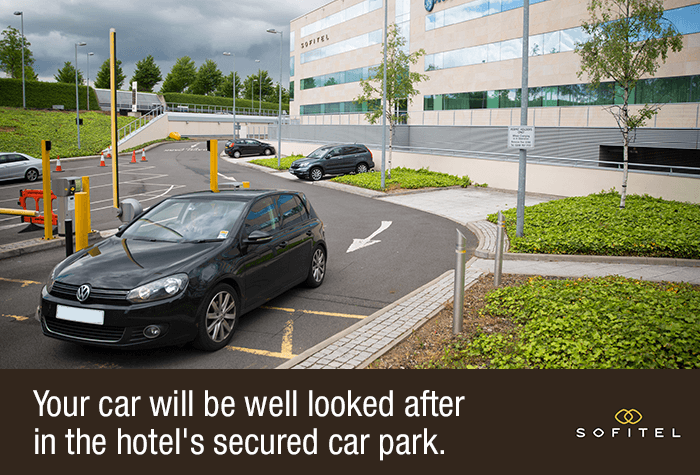 Holiday Extras has been able to get an exclusive deal with the Sofitel hotel at Heathrow airport, so you can keep your car in their secured underground car park. When you park at the Sofitel, you won't need to worry about transfers as Terminal 5 is just a 4-minute walk away through a covered path. If you need the other terminals, just grab the Heathrow Express underground service to get there. While you're away, your car will be kept behind a barrier that only opens to paying guests, under the watchful eye of CCTV and of course, being underground, it's also safe from the British weather! 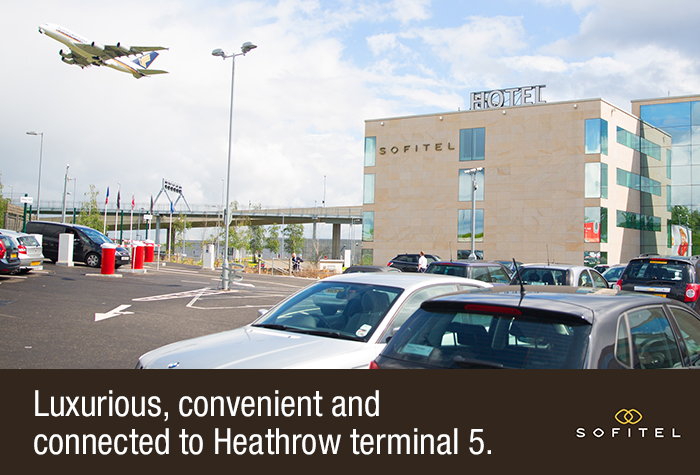 If you're looking for convenience, this is the perfect Heathrow airport parking for you. Drive to the Sofitel hotel and park in their underground car park. From there you can walk through the covered walkway straight into Terminal 5. If youre not flying from T5 then you can take Heathrow Express underground service to any of the other terminals its free and takes a matter of minutes. Drive to the Sofitels car park and take a ticket at the barrier. Park anywhere on the lower levels and keep hold of your keys. Then take the lift back up to the ground floor and walk through the covered walkway into Terminal 5 it shouldnt take any longer than 5 minutes to get there. If youre flying from a different terminal you can catch the Heathrow Express underground service, its free so long as youre only travelling between terminals. After you land take the walkway from T5 back to the Sofitel, where youll need to get your parking ticket validated by guest relations. Then pick up your car and use your ticket at the barrier on your way out of the car park. Great location for parking for Terminal 5 access, easy to find, plenty of space and a few minutes under cover walk to Terminal. A bit pricey but worth it. I'm reluctant to be too positive because I don't want people to know about it - it's convenient and quick. Just remember to get your ticket validated when you arrive and you can go straight to your car on your return. Great service. We paid £39.00 to park our car for a day did not look hard enough when entering the Car Park at 4.30am went into car park very easy to get to terminal5 came out at about 9.15pm went to exit had to pay Another £59.50 and told it was wrong car park should have been hotel car park EASY MISTAKE SAME PEOPLE OWN CAR PARK you must get a lot of this as two men came to us to get the money and told us not to bother complaining as we would not get any money back and £100 for a days parking is not good .partly our fault but in all honesty must be lots of people do the same especially us older ones there were plenty of spaces in the carpark what was so different !! 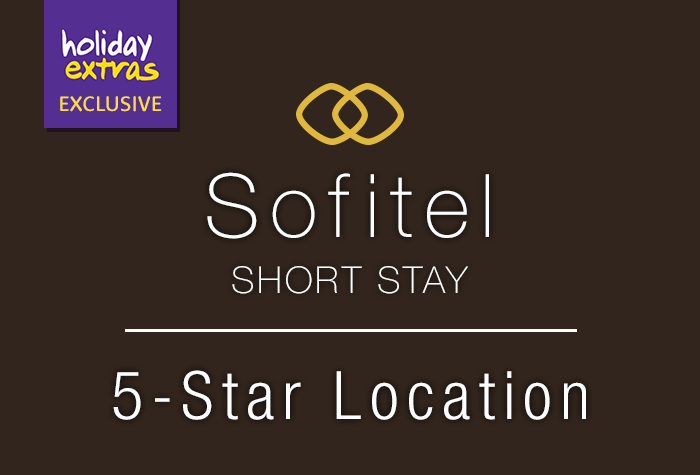 Our customers rated Sofitel Short Stay on average 9/10 (16 reviews). Read Sofitel Short Stay reviews.